When I first moved to the Island, about nine years ago I always took the Fast Ferry From New Bedford. I remember taking the boat one time and there were square white boxes on a cart in the middle of the boat. I asked one of the crew what was in the boxes and he told me it was frozen fish for one of the restaurants. My first thought was you have got to be kidding me. These restaurants on the island are buying frozen fish from New Bedford?!? As I got off the boat I tried to watch who was picking up the frozen fish. Well there was no one there to pick it up right away so guess what, the “frozen” fish sat in the hot sun for god knows how long until whoever was going to sell it to some tourists had the time to pick it up. I never found out who picked the fish up that day but I know who didn’t. It definitely wasn’t anyone from The Red Cat Kitchen. I have often seen the Menemsha Fish House van outside the restaurant no doubt delivering the freshest of catches. When you go somewhere where Ben de Forest is the chef you know you will be getting something as fresh as can be. Ben is the magician in the kitchen at the Red Cat. 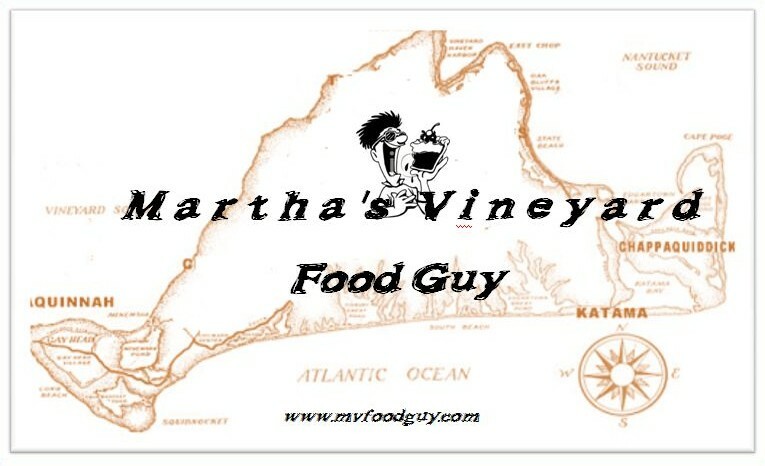 The Red Cat Kitchen is a small, eccentrically and tastefully decorated restaurant located on Kennebeck Ave in Oak Bluffs. The sign in front of the Restaurant actually says Ken N’ Beck – to symbolize Kennebeck Ave. Ben has created culinary dishes for numerous celebrities and politicians on the island including Bill Clinton, Dan Ackroyd, Adam Sandler, New England Legend Bill Belichick and many, many more. This is truly an experience you don’t want to miss if you come to the Vineyard. All of the food is local and fresh. The menu changes depending on what kind of food is fresh and available day-to-day. The Red Cat Kitchen is opened at 6 PM and is currently opened seven days. We ventured to the Red Cat last week. We were greeted by a polite hostess and saw Ben at work in the Kitchen. He gave us a wave hello and we were seated by the hostess in the outer room. There is a small back room with a couple of tables, a main room with the bar and a few tables and then an outer room, similar to a porch, but not outside. The waitress came over and we ordered drinks. 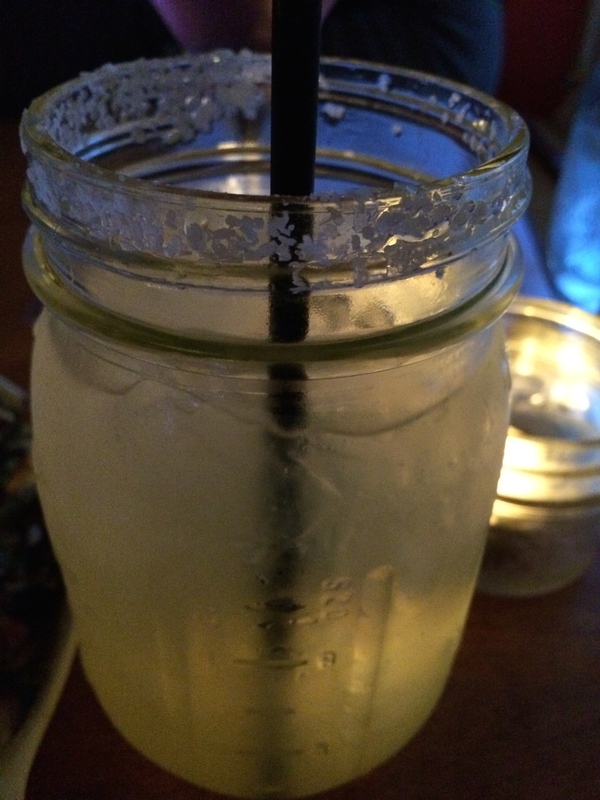 I opted for a plain margarita. There is a cranberry one on the menu but I went classic. Renee went with the wicked cosmo. Both drinks – awesome. The Red Cat Kitchen has a very festive atmosphere and it’s tough not to have at least one or two adult beverages when visiting. I ordered a ceaser salad and the braised pork shank. 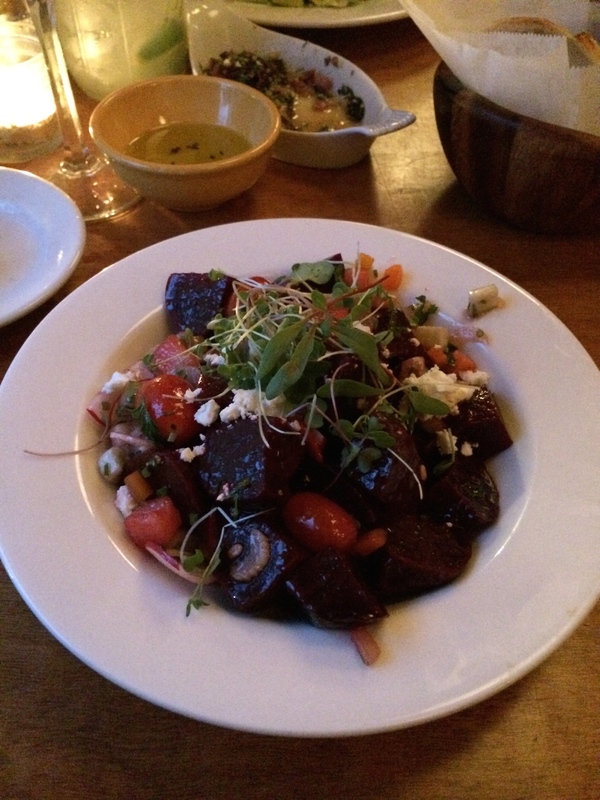 Renee opted for the roasted beet salad and fried chicken. Within a quick few minutes our drinks arrived. 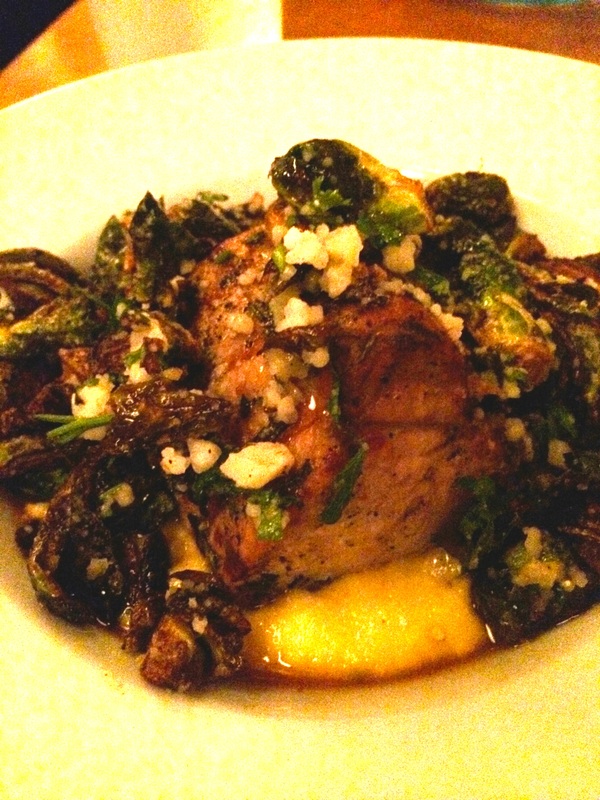 Shortly thereafter, a creation of Ben’s of brussel sprouts with a bunch of spies mixed up in a dish arrived. Looked a little funky but delicious! After we enjoyed the little treat the salads arrived. 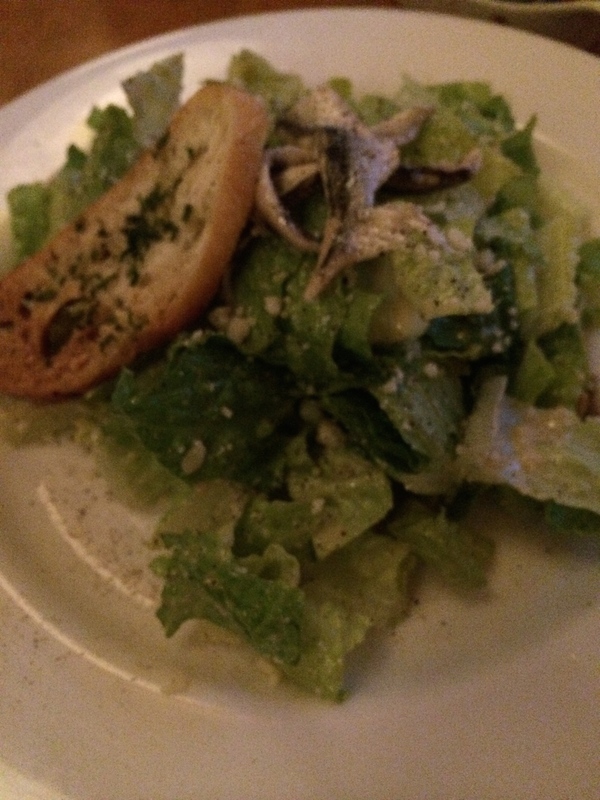 I’m a huge fan of a good, fresh caesar salad with anchovies. The salad did not disappoint. It was fresh, delicious and just like I asked for, loaded with a few extra anchovies. Renee especially loved the beat salad. Within a reasonable time our dinners arrived. Again, no disappointment here. The pork shank was cooked to perfection and spiced up just right. It included the same style brussel sprouts we had had for the appetizer. The fried chicken was excellent. Good portion along with some kale and whipped potatoes. Ben is known for a lot of stuff but two things I have always loved and always been consistently good is the fried chicken and the reliable burger. So simple, yet so good. For dessert Ben topped us off with some berries and ice cream to split. Very good, very fresh. No matter how long you are visiting the island for I would suggest the Red Cat Kitchen is a must go to place while you are here. I recommend going early because it can get packed, especially on the weekends. Pretty much any kind of attire will fit in here. Island attire, dress or casual. Tell them mvfoodguy sent you ! Thank you Susanna ! Hope you and Trav are well !